Oh! Even more naughtiness than before... - Wrap It Up! Perfect for active people, this new Wrap It Up! recipe is for the ones interested in high-protein superfoods. The Wrap It Up! Chef has been busy sourcing healthier and more colourful ingredients to bring all of our wrap recipes to a new super-diet level. Last month we released the first recipe of our new wraps. 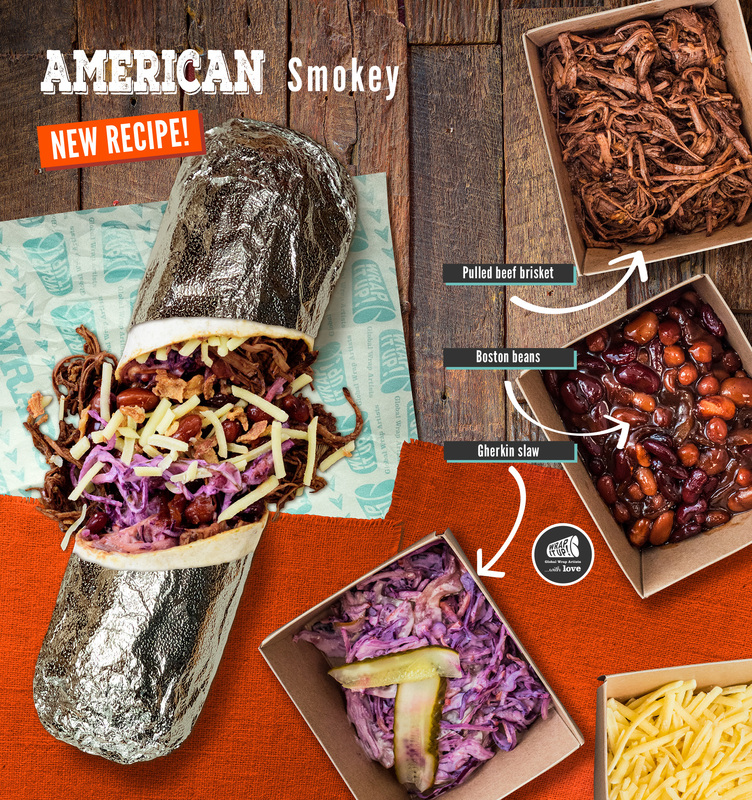 This month we are back with a second recipe release: that of our new American Smokey wrap. Gathering flavours from across all the 50 states, the new American Smokey wrap stars slow cooked pulled beef brisket, bringing its sweetness all the way from Louisiana and its cayenne pepper & cumin spiciness all the way from Texas. In the guest star role, we have the famous Boston beans, cooked after the original recipe. And to complement these two protagonists in our new wrap, we added a crunchy gherkin slaw, Monterey Jack cheese and crispy onions.